I get asked about the girls relationship a lot. Like A LOT. Asking about how I fostered this relationship between them. The truth of the matter is, I haven’t done a thing. Abby and Bridget’s relationship happened organically. David and I very little to do with it. From the beginning Abby was in tune with Bridget. I have longed maintained that if Bridget had been born a boy, Abby would have needed immediate and intensive therapy to get over the disappointment. She would tell people she was having a sister and that was that. Despite the fact that David and I refused to learn the baby’s gender until the moment she greeted this world. While we did not specifically do anything to encourage their relationship, I believe David and I deliberately try not to harm it. When Bridget was brought the ER for the first time, Abby was there. When she was in the NICU, Abby was there. We never shielded Abby. Did we tell her her sister might die? No. Did we tell her our fears or our the exact truth? Um, no. We did tell her a vague, “she has special needs” and let Abby adapt that to her own way of thinking. We allow Abby to have her Abby time. We do not make her do Bridget’s therapy, but she wants to. Abby is engaged not because she is forced but because (according to her): this is what sisters do. They both have homework. We try to make sure that Bridget is occupied during Abby’s so she has our undivided attention. Yet so often Abby does her homework at the Pedi center. Abby also helps (willingly) Bridget with her homework. I’m not saying we are perfect. Far from it. We mess up all the time. Yet I think it is the mess ups that make Abby and Bridget’s relationship work. We have been determined to show that Bridget is more than Abby’s sister and vice versa. That Abby can participate, but does not have to. That she is allowed to say, I need a break. Having play dates with aunts who make her the center of their universe. Going to brunch or going to the movies. We try really hard not to revolve our life around Boo, but to have her be a part of our life. Learning that Bridget had PACS1 we were relieved when we found out it was not hereditary. When we told the families the newest development, Abby did not understand why that was such a big deal. Why would she care if she had a baby and it was like Bridget? (Followed by gross, I’m never having a baby). At that moment, PACS1 became just a part of Bridget, for all of us. Abby (in my mind) taught us that at a very young age. By assuming that of course her sister would be included. Because that is what sisters do. She involves Bridget in just about everything (but her bunny. Cottontail is off limits). Abby wants Bridget to have her “sleep overs” in her room. She wants to have Bridget in every area of her life. By finding ways for Abby want to be a part of her sister’s life instead of telling her she has to is what has made the difference. By not making demands but making this just who we are it has evoked a positive experience for us all. That is my take on why it works for them. Why there is no jealousy or feeling of obligation or shame. It might not work for everyone. I do worry, all the time, about the responsibility we have placed onto Abby’s shoulders. 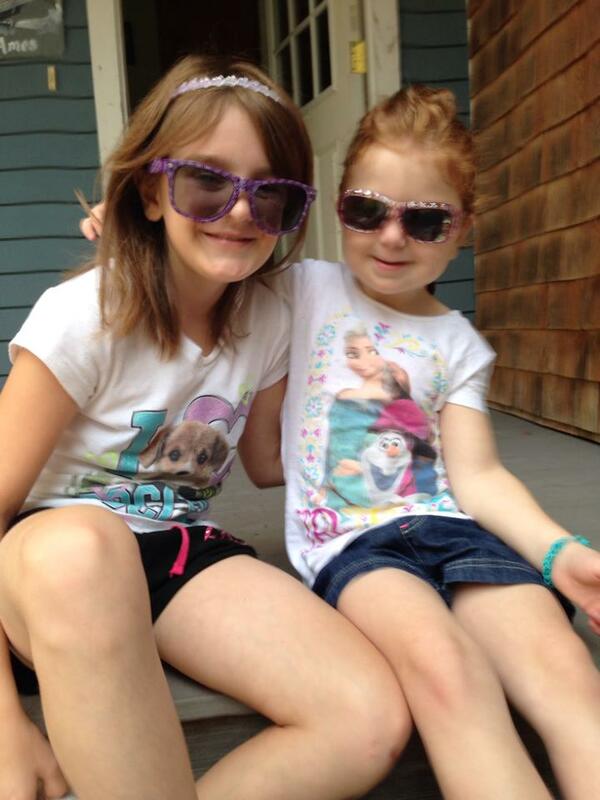 We know that unlike other sisters, Abby will be forced to care for hers when we are gone. Most children Abby’s age are not taking their six year-old sibling to the bathroom and managing all that entails. To advocate that her sister might be special but that doesn’t mean different. This is just the start. In years to come, Abby will have to battle insurances, therapies and a society that is not always kind to those who are different. When I am really old, I hope I look back on my life and know that I didn’t place a burden on Abby’s shoulders but gave her the sister she was meant to always love. That is how I answered the Finish That Sentence Friday prompt, When I am really old, I hope that I look back on my life and know that I…. When I am really old, I hope I look back on my life and know that I…. 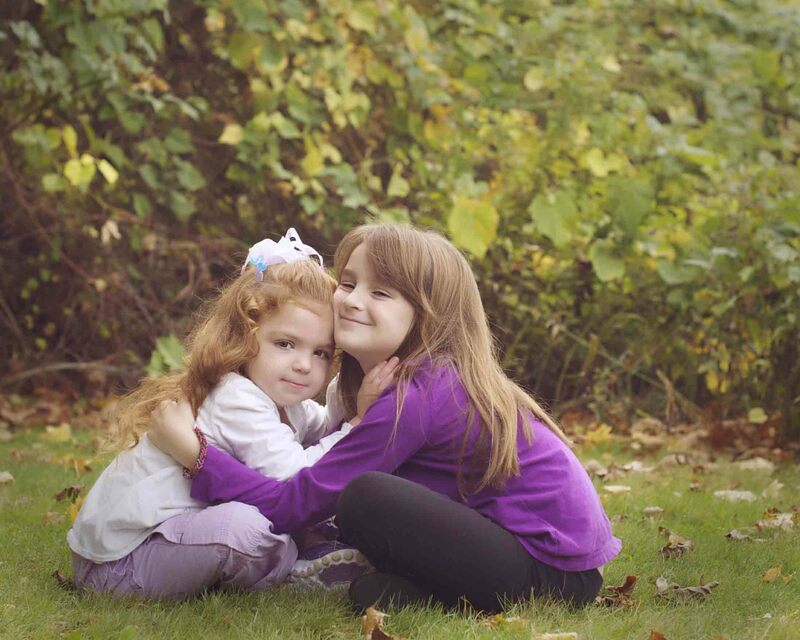 This entry was posted in Finish that sentence and tagged acceptance, inclusion, love, sisters on December 18, 2014 by firebailey. 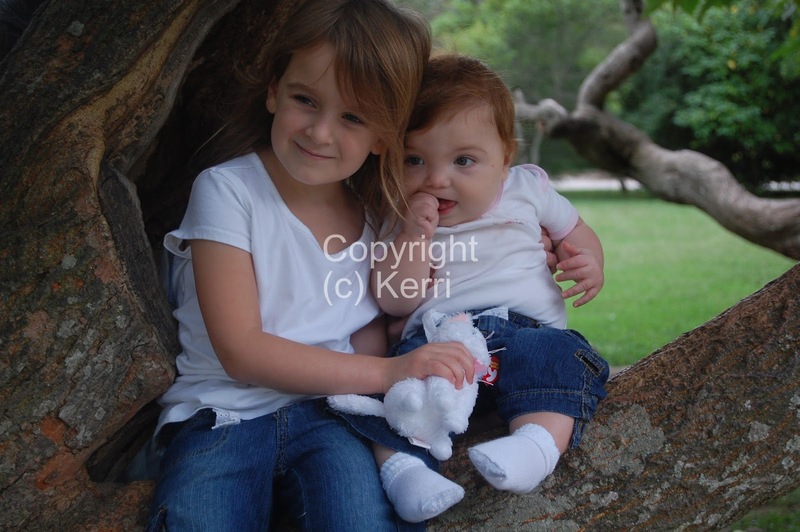 Aww, I totally think you are doing so much right here and I always hope similar for my girls as far as sisters go, too, hoping that they will also be so very close even as they get older. Oh Keri, I get it. I tried to write about this for you, for My Challenge, and I couldn’t get it right. It’s so hard. I’m trying to form the bonds, or I guess I should say – gently support Bear’s siblings, so the bonds are formed. And I too lean on Hunter to help in the care for Barrett. Especially now that he’s becoming a man, and I can’t go into public restrooms with him. And I l know that one , or all will have to care for him some day. Ugh. OK so I just read Allie’s too and dude. We’re all so much on the same page. Is it a special needs thing or what??? Also love you mucho. Hugs, Kerri! What lovely girls you have! You’re truly blessed. You know, I always regretted not having siblings, mainly because my Mom had 8 and they were all so close. She’d say that there is no relationship that comes close to having a loving brother or sister. Today, only one Uncle still survives and it is his birthday today. Loved your post. Stay blessed! Many hugs Kerri. Abby is a wonderful child and Bridget is lucky to have her in her life. Stay blessed. That video? Wow. I listened more than watched and I could hear Bridget ripping off the alphabet. “R, S, T …’ and then she launches into bits of it again. So good. Also grinned over Abby’s “sorry if I’m making you dizzy…” Classic. This was a gem. Thanks. I get a lot of questions about that sister thing, too. And especially since they are almost 21 and 19 (the younger with special needs). Be prepared for their relationship to change in the teen years. Maybe it won’t, but be prepared. Our girls’ relationship dwindled to barely greetings in the morning and evening. But, thankfully, it’s become special again and they have a bond only a mother could hope for. Haha! Gross I’m never having kids. That was beautifully written – and a wonderful way to let the relationship evolve. You have described a beautiful relationship between sisters. I think, in a way, Abby is already an 100% advocate for Bridget.